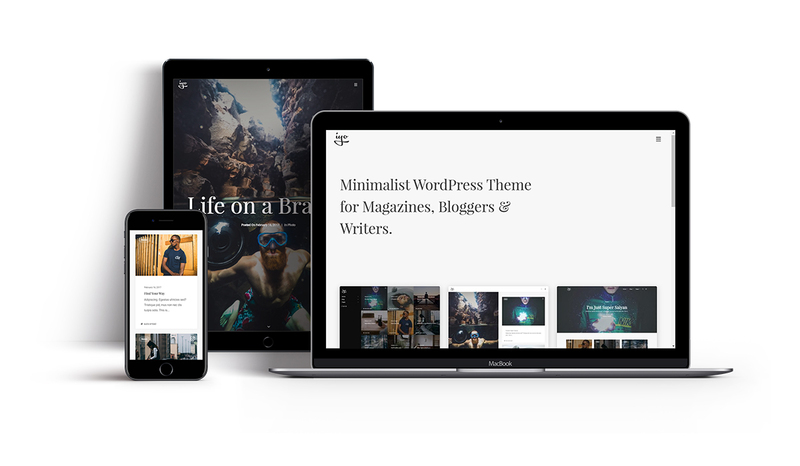 Iyo is a Clean, Classy and Beautiful Minimalist WordPress Theme for Magazines, Bloggers, Writers and Shop Owners. It is made simple and functional right out of the box, yet offer high customization for more advanced users. You can change the main appearance of your website very easily by using our enhanced WordPress customizer and see the changes instantly in the live preview. It includes a tailored version of Visual Composer ($34 value), the most powerful page builder out there, with a lot of additional elements and custom styles to suit the amazing design of the theme. All the demo content, including menus, medias, products, custom post types and everything, can be imported on your server in one single click to make it easier for you to get started with your website. Iyo WordPress theme includes a shop feature powered by WooCommerce, the best eCommerce platform for building your online business. So let’s get started and purchase Iyo on Envato market to create an amazing website now! Use Content Blocks to create your own header and footer with unlimited possibilities! Asset references are included in the theme package. Photos included are under Creative Commons licence.